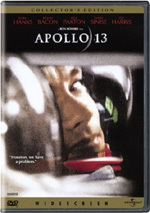 The Right Stuff appears in an aspect ratio of approximately 1.85:1 on this double-sided, single-layered DVD; the image has been enhanced for 16X9 televisions. While not a terrible picture, Stuff demonstrated a fair number of problems that made it less than satisfying. Sharpness usually appeared positive, as only a few small exceptions occurred. Some wider shots came across as slightly soft. However, most of the movie was well defined and distinct. Jagged edges and moir� effects caused no problems, but some mild examples of edge enhancement presented concerns occasionally. I also noticed some light compression artifacts throughout the movie. These didn�t appear enormous, but they created moderate distractions at times. Where Stuff lost most of its points related to source flaws. Throughout the movie, I noticed quite a few examples of specks, spots, grit, marks, scratches, streaks, and vertical lines. Some of the flaws came from stock footage, like the opening shots of Cocoa Beach, but that didn�t explain all � or most � of them. The film didn�t seem horribly full of defects, but they came across as heavier than I expected of a 20-year-old flick, and they forced me to drop my grade to a �C-�. While the picture of The Right Stuff hasn�t aged terribly well, the film�s Dolby Digital 5.1 soundtrack worked remarkably nicely. I found it tough to believe this track came from a moderately old flick. The soundfield seemed wonderfully broad and vivid. In addition to the expected solid stereo imaging for the score, effects demonstrated great activity and involvement. The front speakers boasted fine breadth and dimensionality. Elements seemed accurately placed and they moved smoothly across the speakers. The surrounds kicked in with a lot of useful material as well. General ambience worked nicely throughout the movie, and the louder scenes displayed terrific vividness. For example, the flight deck on Glenn�s Navy carrier created a great sense of place, and the jet flights immersed us in the action. Even press conference shots demonstrated a nice feeling of the location. The soundfield really complemented the visuals. In regard to supplements, The Right Stuff includes only a smattering. The vast majority of the information is provided in onscreen text form, and some of it's quite good. 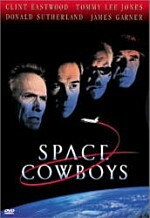 We get short cast and crew biographies for actors Charles Frank, Scott Glenn, Ed Harris, Lance Henriksen, Scott Paulin, Dennis Quaid, Sam Shepard, Fred Ward, Kim Stanley, Barbara Hershey, Veronica Cartwright, and Pamela Reed plus composer Bill Conti, author Tom Wolfe, and screenwriter/director Philip Kaufman. 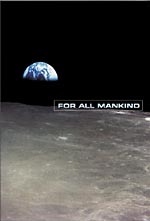 Biographies for all Seven Mercury Astronauts also appear, as do histories of Pioneers Chuck Yeager and Pancho Barnes. The Behind the Scenes section gives us some interesting production notes about the making of the film. The �Supplemental Data� part provides a strong Spaceflight Dates and Events timeline, plus a nice glossary of both Pilot Lingo and Space Terms. All of these features are more detailed than I've come to expect from these kinds of supplements, and all are very interesting. Finally, the DVD includes the theatrical trailer and a little more text that lists the Academy Awards that Stuff won. Though not much appears here, at least the quality of the text seems pretty positive. 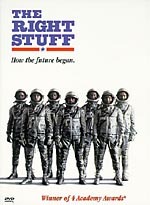 A vivid and heroic epic, The Right Stuff tells a dynamic tale with fervor and might. It treats its subject in a gripping and mythological way that makes it a consistent treat to watch. While the DVD presents surprisingly excellent audio, it suffers from relatively weak visuals and a general absence of supplements. If you�re a penny-pincher, you may want to go with this basic edition of The Right Stuff. However, if you can spare a few extra bucks, you should go with the 2003 two-DVD special edition release. It offers identical audio along with moderately improved visuals and a significantly more substantial set of supplements. It lists for $7 more than this one, but I think it�s clearly the superior package.